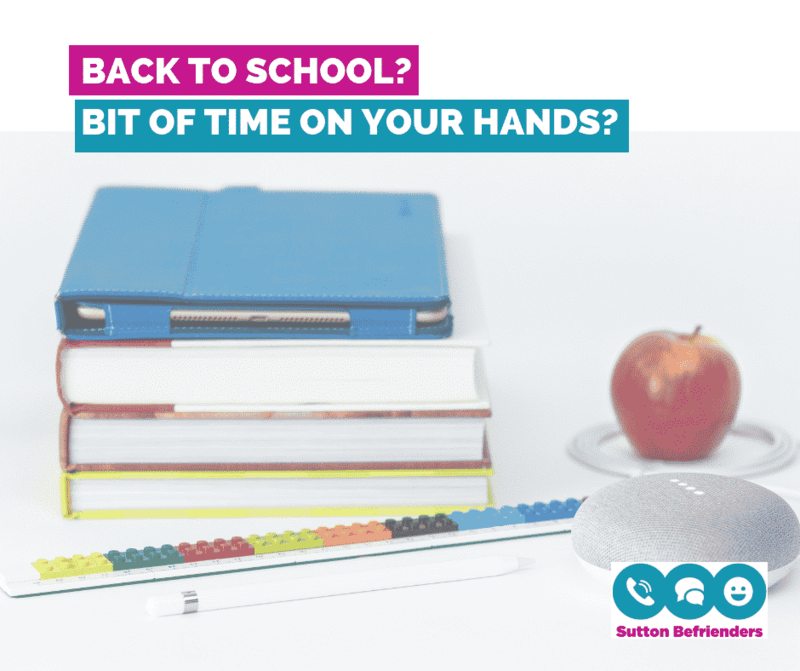 Has your child started school or gone back to school? Have you now got an hour or two to spare a week? Would you like to provide company to a lonely and isolated older person or vulnerable adult in your local community? If so, then please get in touch. No experience needed as training will be given. We just need people who are willing to help, are good listeners and able to have a laugh. Phone us on 0208 661 5910 or email [email protected].